Can lions and humans co-exist around National parks? 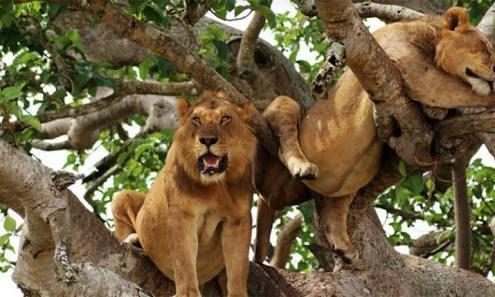 Queen Elizabeth National Park is one of few habitats of the tree climbing lions in the world. Following the death of 11 lions, three lionesses and eight cubs, in the park’s grasslands on April 12, 2018, conservationists are worried that the future of the big cats in Queen Elizabeth National Park is short lived. Sitting on more than 700sq miles in Kasese District, the national park is home to more than 100 types of mammals including elephants, leopards, buffalos, hyenas, water bucks and more than 600 species of birds. Local farmers are thought to be behind these killings in revenge for lions killing their cattle and other wildlife like elephants trampling on and eating their crops. The farmers have resorted to using poison to deplete the animals at one of Africa’s strongholds of wildlife. Much as it is illegal for one to rear livestock or grow crops in the national park, authorities have shown laxity in evicting people from there or put up a compensation plan for affected farmers. Besides the most recent incident, many more lions have been poisoned in Uganda. The killing of lions will inevitably affect tourism as the population of the big cats dwindles. 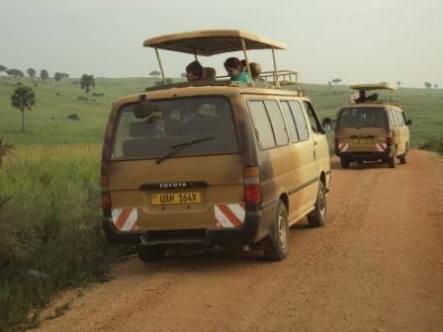 In May 2010, five lions were killed in Queen Elizabeth National Park, and between 2006-2017, 15 lions died in the area, with the Uganda Wildlife Authority blaming the heinous attacks on the landless herdsmen trying to defend their cattle. The farmers however deny these allegations. Bashir Hangi, the communications officer at the Uganda Wildlife Authority said investigations were underway but still suspected poisoning by the farmers. Francis Kayiwa, one of the local farmers said a lion attacked and killed one of his pregnant cows yet he used to get milk from it for his family and also sell some and earn a living. He argued that UWA failed to compensate him despite trying to talk to the authorities on several occasions. Conservationists are worried that onlyb19 lions are said to remain in the national park. Queen Elizabeth National Park is home to one of two populations of tree climbing lions worldwide, the other is Tanzania.